Another solar system has more planets than ours...and here's what we're going to do about it! HD 10180, located about 130 light-years away, was already known to have six planets, five roughly Neptune-sized and one the size of Saturn. That already made it one of the most crowded known solar systems - and, pound for pound, the presence of six gas giants arguably already made HD 10180 more packed with planets than our solar system. Not only are the six planets seen in the new results, but the seventh is confirmed, as well as finding two additional planets in the data. If this result pans out, that means HD 10180 has nine planets, more than our solar system does! The three additional planets have masses of 1.3, 1.9, and 5.1 times that of Earth, and orbit the star with periods (think of that as the planets' years) of 1.2, 10, and 68 days, respectively. Those first two are pretty firmly in the Earth-mass range, what astronomers call "super Earths". However, Earth-like they ain't: they'd be cooked by the star. The first is only 3 million km (less than 2 million miles) from HD 10180, and the second barely any cooler at about 14 million km (8 million miles). This is much closer to the star than Mercury is to the Sun, and remember HD 10180 is very much like the Sun. 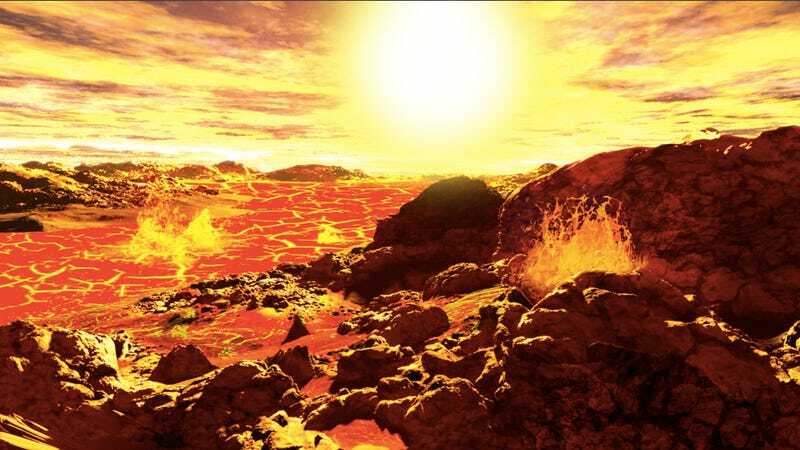 If those planets are rocky, their surfaces are hot enough to melt tin, zinc, and on that inner planet, maybe even iron. Sure, it doesn't look like we'll be ceding our title of "most life-supporting planets" to HD 10180, but that jerk of a star has now managed to have the hip new solar system with nine planets. Well, I say we don't take this news lying down. If ever there was a time to rashly promote Pluto back to planethood status, I say it's now! And hey, we've got a bunch of other dwarf planets out there beyond Neptune - let's make them all planets! Between Eris, Haumea, and Makemake, plus Ceres in the asteroid belt, that gets us up to 13 planets. And hell, there's thought to be anywhere between 200 and 2,000 more potential dwarf planets out there beyond Neptune, and I'm perfectly will to declare all of them planets just to spite this upstart solar system. Basically, HD 10180, we will bury you...with random, tiny, pointless planets. Well, I feel much better now. For a sane take on this discovery, head to Bad Astronomy. Images by Ron Miller..